Paris has the most comprehensive transport network in the world, with buses, tramways, metros, trains, boats, Velib’, Autolib’, shuttles and taxis providing access to all corners of the region. Paris 2018 commits to a minimum of 50% of journeys made using active mobility, public transport and ride sharing. This is why Paris 2018 systematically offers a public transit pass to all participants who are not residents of Paris Region. 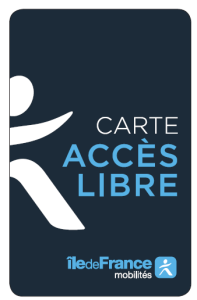 To travel within Paris Region, you will be able to use your Paris 2018 transit pass given to you at the Accreditation Center at Cité de la Mode et du Design (Fashion and Design City). Here is the card designed especially for Gay Games participants! This card will be valid from 6 August to 12 August midnight. A real collector’s item! And participants will get 5 individual tickets for the other 2 days. 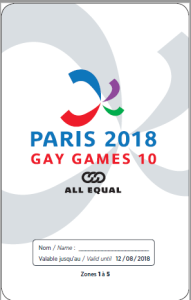 Enjoy your stay in Paris and have a great time at Paris 2018-Gay Games 10.